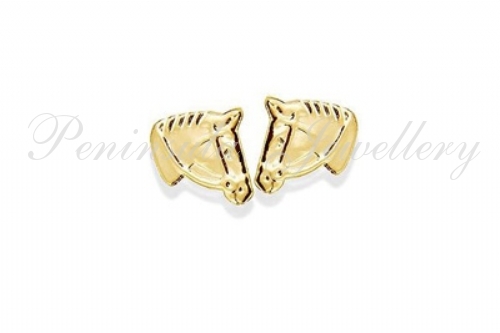 Gold Horses head earrings, measuring 8x9mm. These have standard 9ct gold posts and butterfly backs. Ideal for the Equestrian! Made in England. Presented in a luxury gift box - great gift!